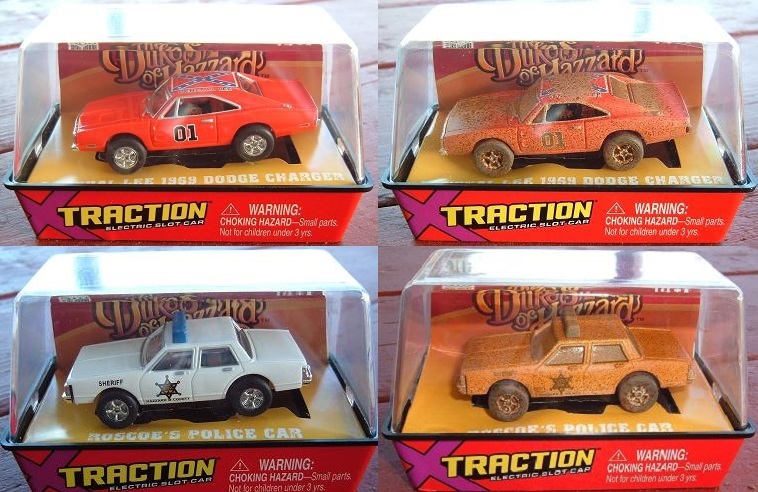 Introduced in June of 2006 you will receive a 12 car case the "Dukes of Hazzard" 1969 Dodge Charger "General Lee" in orange (clean version), 1969 Dodge Charger "General Lee" in orange (dirty version), Roscoe P Coltrane Police Car in white (clean version), and Roscoe P Coltrane Police Car in white (dirty version). Buy the entire case and save. You save $55.45 off of the individual purchase price of $175.40!